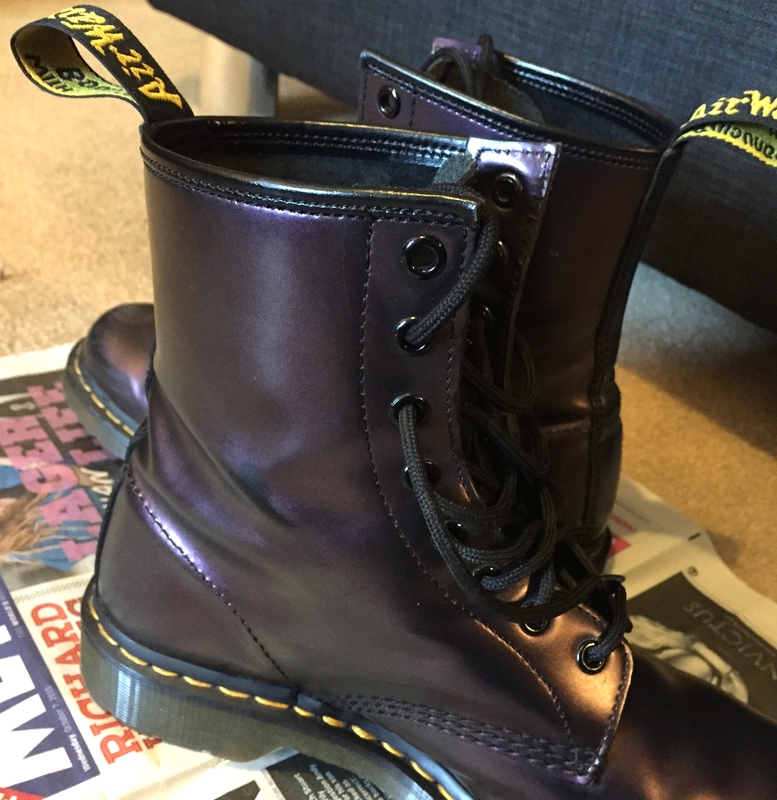 One of my DMs is a metallic purple pair. 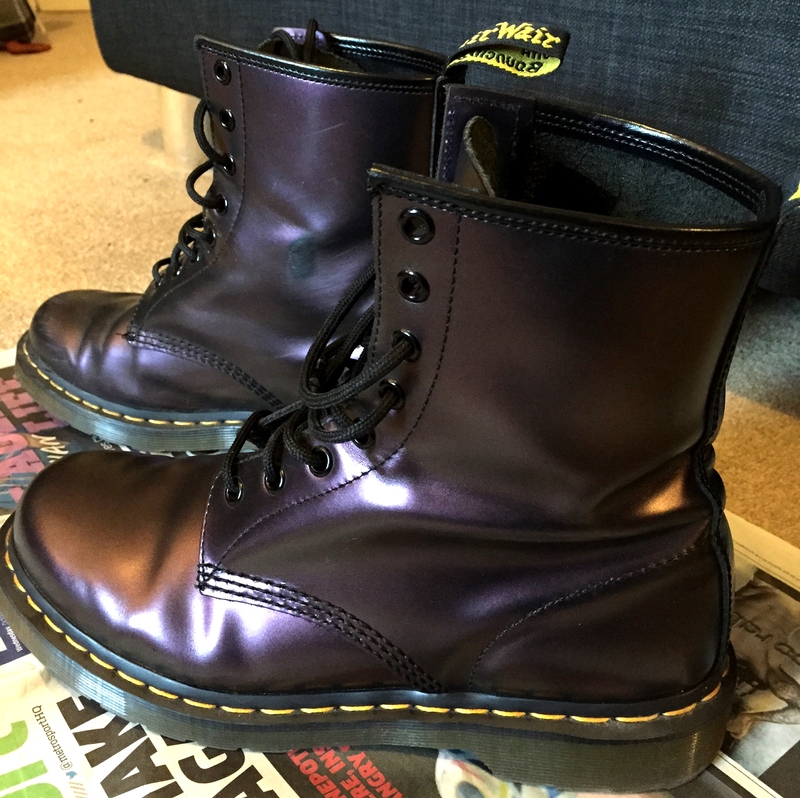 They are perfection in a shoe – purple, shiny, leather, chunky, errrrggghhh I love them so much. So it was with great despair that when I went to get them out for this year’s winter frolicking I saw that they were looking a bit tired and scuffed. I normally don’t mind a little bit of wear and tear on a shoe (in fact I embrace it in a pair of Converse) but these boots are special and I wanted to keep them looking damn fine. As you can see, my boots are pretty scruffy around the toe. 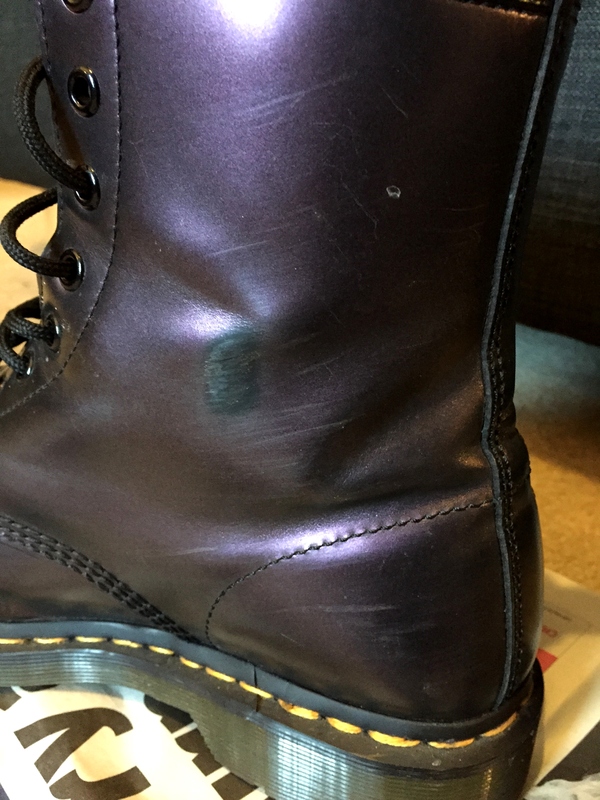 There’s also a scuff on the inside where it rubs against my other boot. So pretty, yet so scuffed! The balsam itself costs £6 and you can get it from one of their shops or a load of places online. 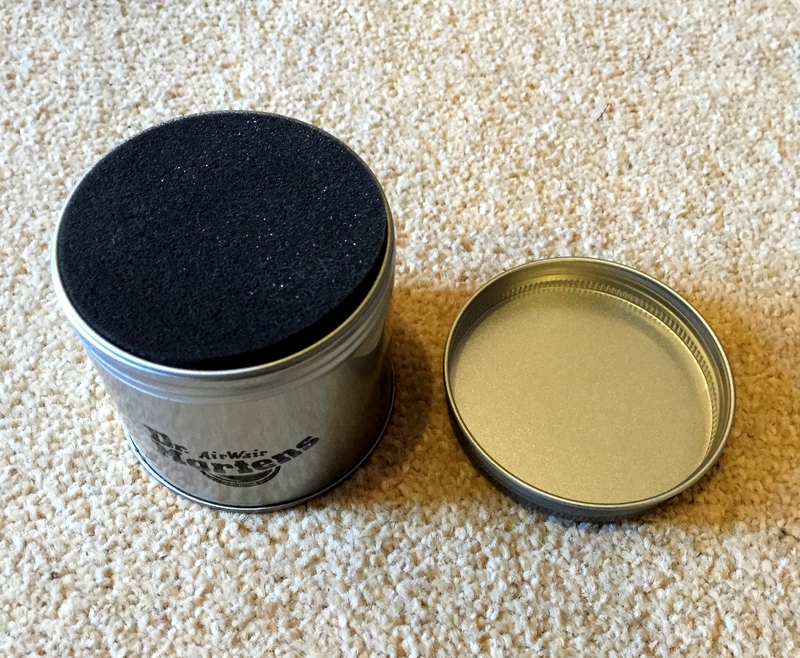 It comes in a clever little screw top pot that has its own little sponge container in there. You need never worry about being without a sponge or the balsam drying out. It’s all contained in one neat, perfectly designed package. It goes on really easily and you only need a little bit. 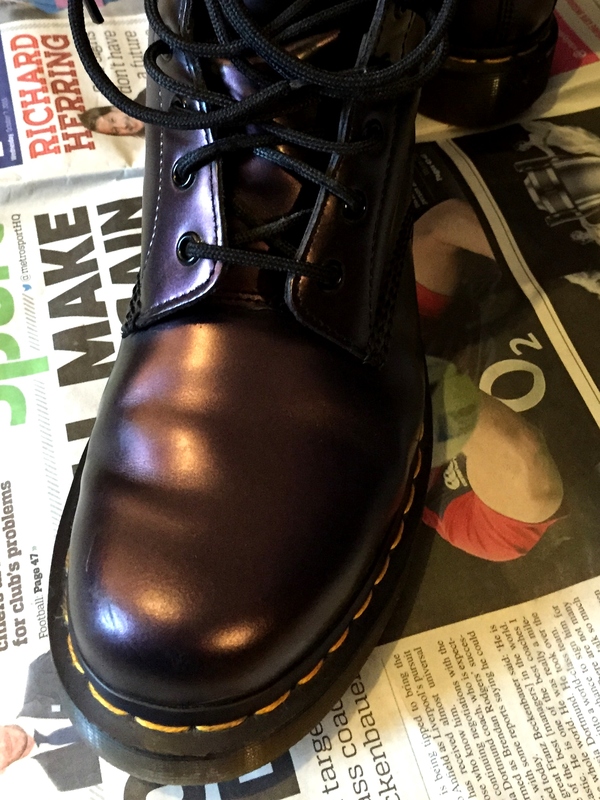 Rub it carefully into the leather all around the shoe, paying particular attention to the seams and you’re soon left with a shining beacon of boot. 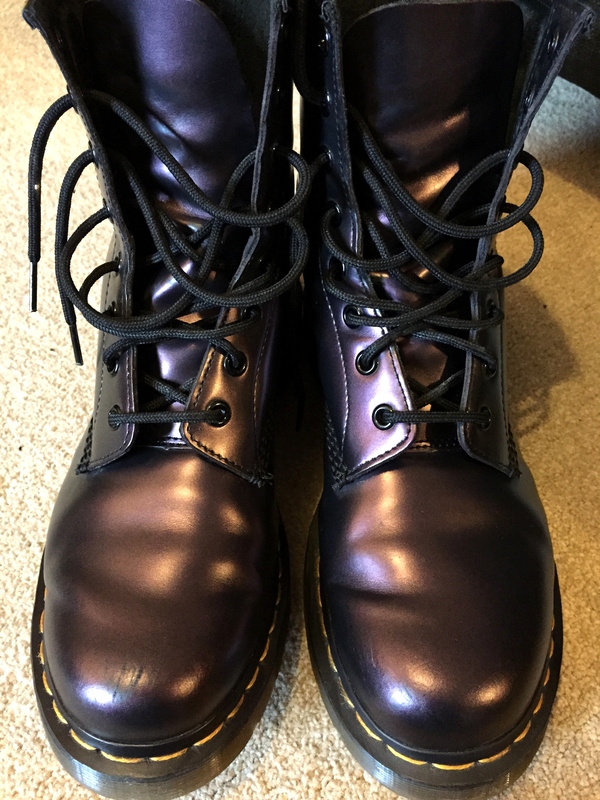 The balsam does say on the back that it doesn’t make your boots too shiny, in case you want them to stay more matt but my metallic ones look pretty damn sparkly – and that is no bad thing! This piccie shows one boot cleaned and one boot still to be done. You can definitely tell the difference! The scuff on the inside didn’t entirely disappear but it looks a lot better. And the toe looks almost brand new! This is a product I would definitely recommend to keep your leather Doc Martens soft, supple and in good condition for the winter. They cost a fair amount of money so it’s worth putting the effort in each year to keep them in tip top condition. Do you share my love for DMs? I’d love to see how you look after yours or which ones are your favourite! Would miNk oul do thr same to help break in? I’m not sure what that is, sorry! I just Got a pair of patent pair in red would the wonder baslm help break them in? Yes it definitely should! I’ve got a patent pair and the leather is tougher. 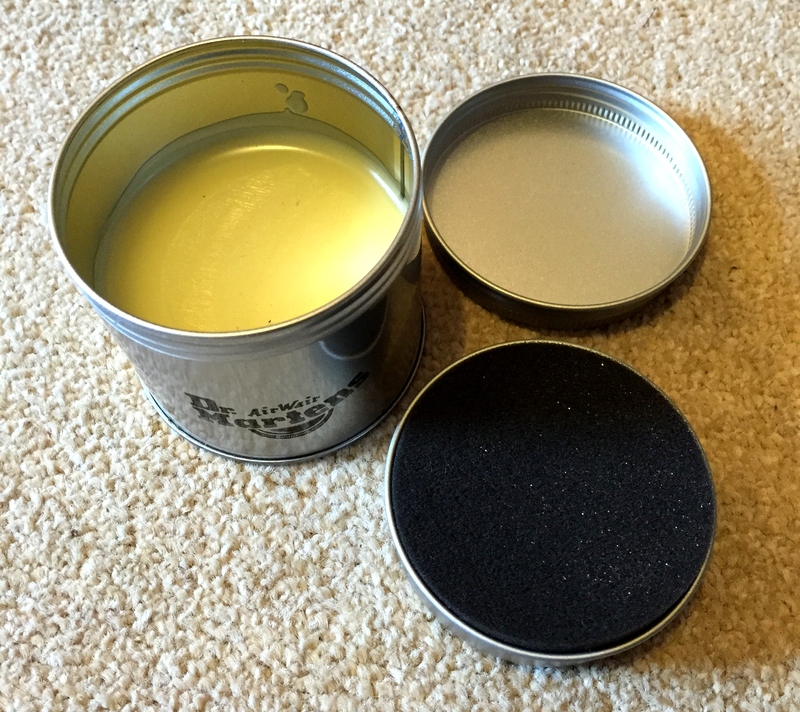 The balm should help keep it supple without cracking. Breaking them in is the worst bit – good luck! 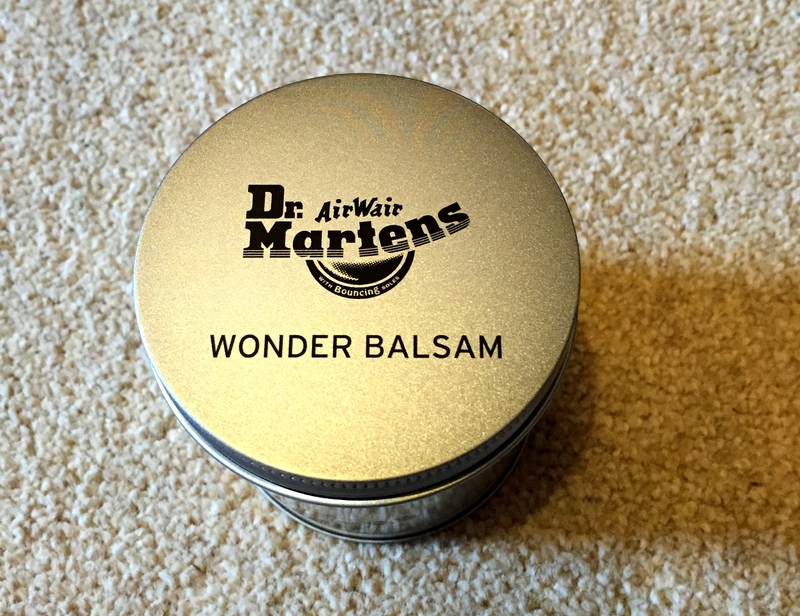 Just invested in my first pair and have applied the balm. How often should you do it do you think? 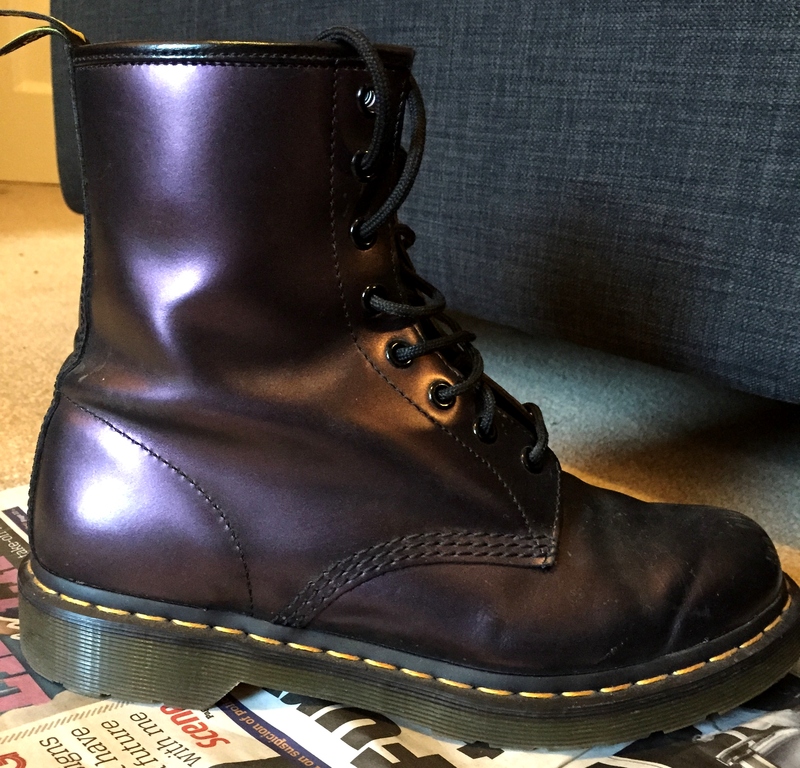 I just got my first pair of DMs, a gorgeous pair of red Persephone boots, and of course the BALSAM to keep them in tip top shape! I’ll so in love, I couldn’t wait to rub THEM down. When I was done, I went straight to my HUBBY’S old worn out docs. It made a world of difference in the appearance, and his are a FEW years old WIth no care Since buying them. It’s a wonder alright! Wow that is incredible! I love that you’re taking such good care of your shoes. I feel like it’s so easy to chalk something off as being old or worn out when really it just needs a lil TLC! Definitely makes me want to try it on my leather shoes! I am so incredibly jealous of your DMs. I’ve tried again and again to wear the boots but they just absolutely destroy my feet beyond belief! Curse my odd shaped heels! I used to be a full on punk in my younger years so always pined for the oxblood boots. I found other brands that were similar and managed to get by with them. One day…. one day i’ll manage to wear a pair! ha !